The 9th International Conference on Environmental Catalysis will be held 2016 July 10-13 in Newcastle, NSW, Australia. Please visit the conference Website for more details. On behalf of the local organizing committee and the International Advisory Board, we would like to invite you to the 8th International Conference on Environmental Catalysis (ICEC). The ICEC returns to U.S. soil for the first time since 1998, as the 3.5 day event will be held August 24-27, 2014 at the historic Grove Park Inn Resort and Spa in beautiful and scenic Asheville, North Carolina. 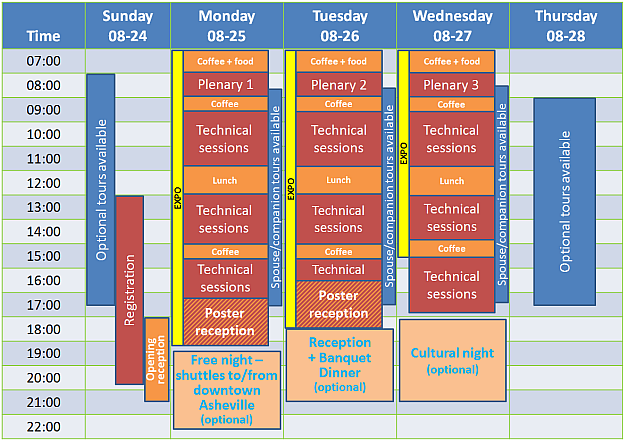 Current technological challenges in environmental catalysis will be presented in 3 plenary presentations, 3 parallel oral sessions, 6 oral-poster topical discussions and 2 poster sessions. Hotel reservations link now available.